Queensland has to be one of my favourite parts of Australia. The glorious green rainforests dropping down to some of the worlds most beautiful beaches and the deep blue ocean beyond, which houses some of the world’s most magnificent reefs. Just 1 hour 30 minutes from Brisbane by car, on the aptly named Sunshine Coast in Queensland, Australia, lies Coolum Beach. This beach and town are a surfing and golfing mecca, with a carefree holiday atmosphere. 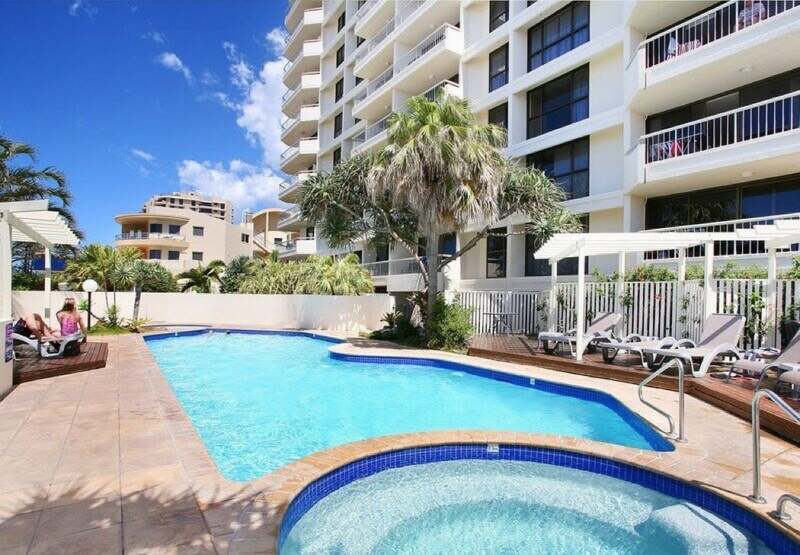 It’s long shopping and entertainment strip offers a stunning outlook across a large beachfront park, and its leafy back streets offer a quiet and green escape behind the beach. Even in the winter, you will find clear blue skies and average daytime temperatures of 20+ degrees at Coolum, making it a perfect vacation destination all year around. 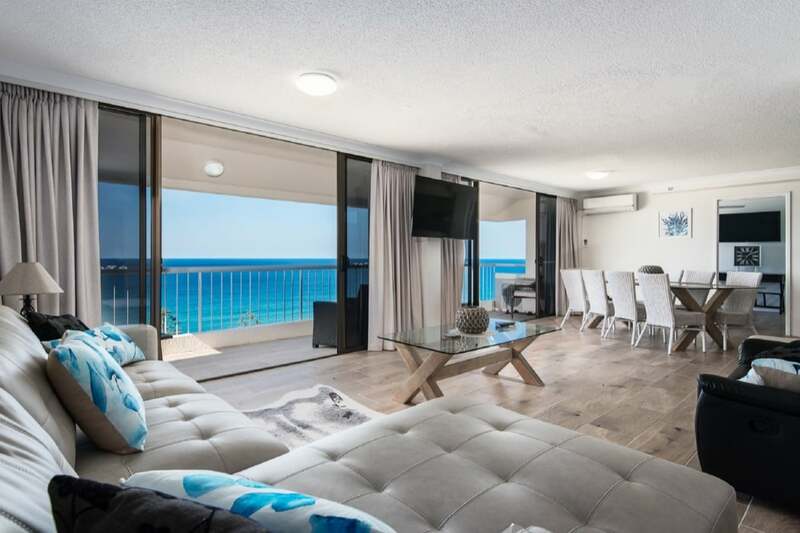 Coolum beach is famous for surfing but if you looking for a more relaxing time, you can spend your days reading by the pool, strolling the sandy shores, dipping in the ocean and sipping a morning coffee with a view of the beach. 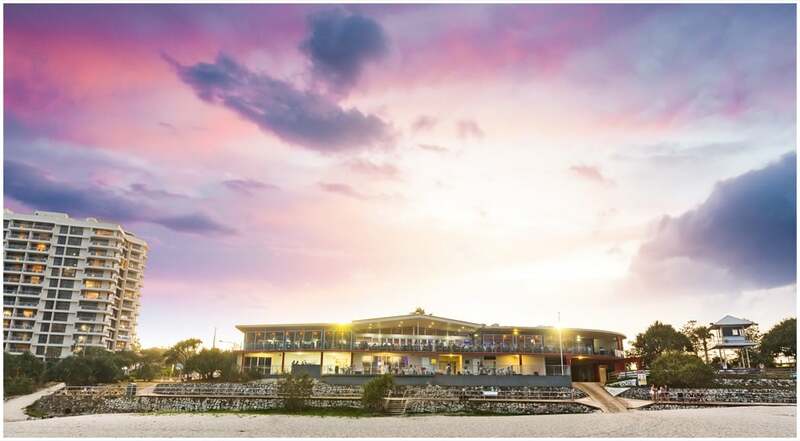 Coolum Surf Club, is our favourite venue to eat and drink. Grab a table right on the sea shore and watch the beach activities under the shade of the awning. The club has a laid back resort atmosphere and is social, warm and welcoming. The menu ranges from fresh local seafood to delicious salads and homemade gourmet pizzas. 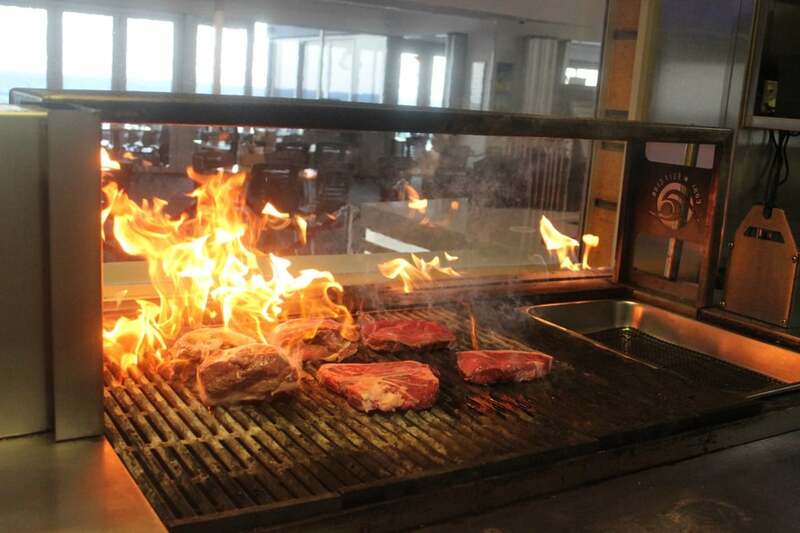 The beachfront Surf Club is the ONLY Surf Club in Australia to feature a genuine wood fired chargrill, and steaks are cooked over this iron bark fuelled coal pit, giving them a sweet smokey taste you won’t find anywhere else. You can watch the chefs cook up your steak in their open kitchen. Enjoy delicious food listening to the waves on the deck with uninterrupted views of the ocean – life doesn’t get much better. 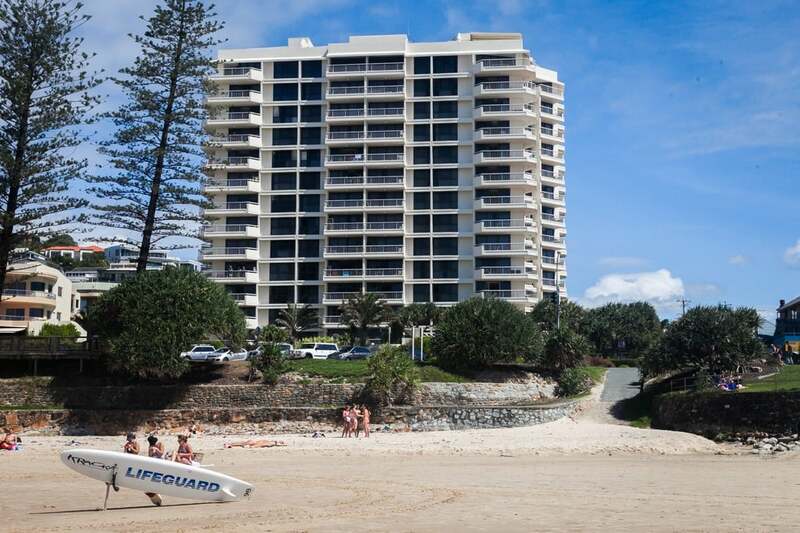 Coolum Caprice Apartments sit right behind the beach with wonderful balconies offering fabulous views up and down the coast and, of course, over the beach. Inside, the apartments are bright and airy with free Wi-Fi and all offer balconies with sea views. Facilities include a heated tropical style swimming pool with a heated childrens’ paddle pool to the side, a heated spa with two saunas, a commercial quality gymnasium and a games room which has air hockey, pool tables & video games. As you would expect, there are a number of areas to barbeque in the grounds and there is an undercover secure parking area for your car (1 car parking space per apartment). With the location being just across from the beach, you will find everything you need for your perfect beach escape. Barbeque in one of outdoor entertainment areas, take a dip in the pool, stroll along the beach or read a book on your balcony and enjoy the balmy winter sun and the sound of the sea.